Before the 2017-2018 school year, both of Northside’s assistant principals, Ms. Debra Fenwick and Mr. Jeff Finelli, announced they would not be returning for the upcoming school year. Ms. Fenwick announced her retirement near the end of last school year. A bit later, Mr. Finelli announced his departure from Northside, upon receiving an offer to become an elementary school principal. 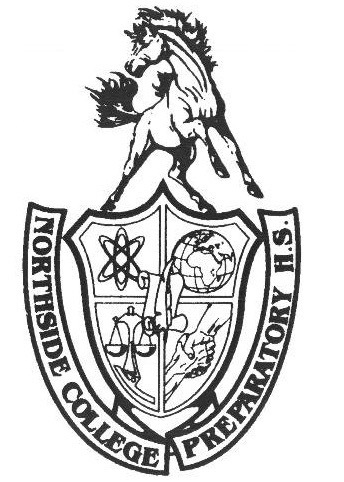 To fill in their positions, Mr. Barry Smith became one of Northside’s two new assistant principals. The HoofBeat met with Mr. Smith to gain an insight into his professional and personal background as well as his aspirations to improve the Northside community. Mr. Smith grew up in an educationally driven environment. His mother was the principal of a school for autistic children in Naperville, Illinois called Krejci Academy. However, his interest for education and the educational system was not piqued until later on in his life. While pursuing an architecture degree at The Ohio State University, Mr. Smith spent a summer working at Krejci Academy alongside his mother. His experience within a learning environment around autistic children led him to fall in love with education, primarily Special Education. It was at this point that he felt inclined to transfer to Western Illinois University, where he changed his major from architecture to special education. Mr. Smith has worked in CPS for five years, helping educate special education children and, more recently, became Northside’s assistant principal. Although he is a new staff member this year, Mr. Smith is no stranger to Northside and its faculty because he worked in the Special Education Department during the 2011-2012 school year. Following his departure from Northside in 2012, Mr. Smith helped start and aid the development of Disney II Magnet High School on the north side of Chicago. Among his most prized achievements is having the opportunity to become the Special Education Department chair during his four years at Disney II Magnet High School. Mr. Smith is well aware that his new role as assistant principal will come with its fair share of challenges. However, he is confident in his abilities to enhance the Northside curriculum. He believes that his past experiences as a teacher have prepared him to become more engaged with the Northside learning environment. Furthermore, Mr. Smith believes that he would be able to conduct unbiased classroom evaluations and promote both open honesty between the teachers and students, as well as the strengthening of student’s skillsets. He also believes that teachers are not content experts, but learning experts, and has been able to witness “really good teaching [that is] not about content,” but rather about the learning environment within the classroom. Therefore, Mr. Smith hopes to increase involvement with the students and staff of Northside, within and beyond a classroom setting. Aside from professional endeavors, Mr. Smith shared some of his personal hobbies and non-academic passions. He considers himself an avid family man, nature enthusiast, occasional runner, and sci-fi fanatic. Other than hinting at his interest in science fiction and fantasy novels, Mr. Smith disclosed the role his nature oriented personality plays in his family life. Among his most cherished accomplishments is becoming the father of an amazing 2-year-old boy, who he hopes to teach an appreciation for the great outdoors. When speaking about nature, Mr. Smith was quick to mention his frequent family park outings, habitual outdoor running, and express his belief that “[there are] so many things to experience [in nature],” and often times people neglect to appreciate its beauty. Mr. Smith expanded his love for the environment to his appreciation for the national parks. He told the HoofBeat that he plans to take his son to all 59 national parks prior to high school graduation. In terms of incorporating his personal interests into the Northside curriculum, Mr. Smith shared his hopes to raise awareness of the national parks to the Northside community and encourage the student body to familiarize themselves with all that nature has to offer. Additionally, Mr. Smith aspires to combine our current learning environment with a more nature-oriented setting. When providing an example of what that would consist of, he recalled having witnessed Mr. Hayes making occasional trips out to the Northside backyard with his students during physics lessons. As a result of his myriad professional skills, coupled with his academic ambitions, Mr. Smith is sure to become an integral member of the faculty, who will continue to improve the Northside community.